When human remains are found by a motorway near London, Cassie and Sunny are called to the scene. Dogged work leads the team to Hayley Reid, a 16-year-old girl who went missing on the eve of the millennium. The police’s failure to find out what happened to Hayley wrecked her family’s life. Cassie’s compassion makes her determined to correct the mistakes made by the original investigating team – whatever the cost to herself. A close-knit group of old school friends hold the key to what happened. Doctor Tim Finch, television host James Hollis, failing sales- man Pete Carr, and artist Chris Lowe. As the four suspects find themselves under the spotlight, their tight bond is put to the test. They all have secrets in their past – events that have pulled their lives apart. None of them are quite who they first seem to be, but is one of them capable of murder? Cassie and Sunny begin interviewing the four male occupants of the holiday home over the millennium, who all have fairly consistent accounts of the time spent in there. The rest of the Bishop Street Station team look at the timelines and leads from the original investigation. Cassie and Sunny suspect that the men all colluded in lying about their version of events for that evening, but why? 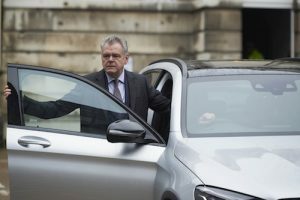 The press begin to circle as they find out that James has been questioned in connection to the Hayley Reid case. Cassie and Sunny nally get closer to some truth about the night Hayley disappeared and the case takes a devastating turn for Cassie. Under the glare of media spotlights, the team race to nd the evidence to prove the identity of Hayley’s killer. 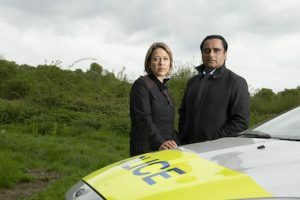 Unforgotten, Season 3 is a Mainstreet Pictures production for ITV co-produced with MASTERPIECE. Chris Lang is the creator and writer. Andy Wilson is the director. The executive producers are Sally Haynes, Chris Lang and Laura Mackie. Rebecca Eaton is executive producer for MASTERPIECE. The producer is Guy de Glanville.